Spring has been a bit hectic and I have not had a lot of excess energy to write reviews. I have been reading a stack of book but I it has been kind of quiet here. I was in London in Marts with my sister and we had a great trip. You can see my pictures on pinterest. On our way home we went through Gatwick airport and went into the airport bookstore. 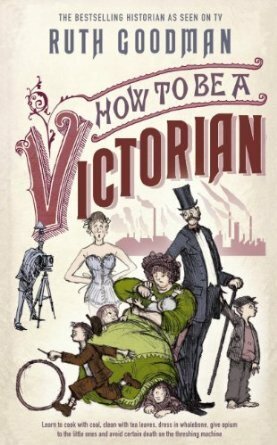 I couldn’t find any fiction I wanted to read, but I did pick up How to Be a Victorian. The very short review is: I love it – it is so engaging!